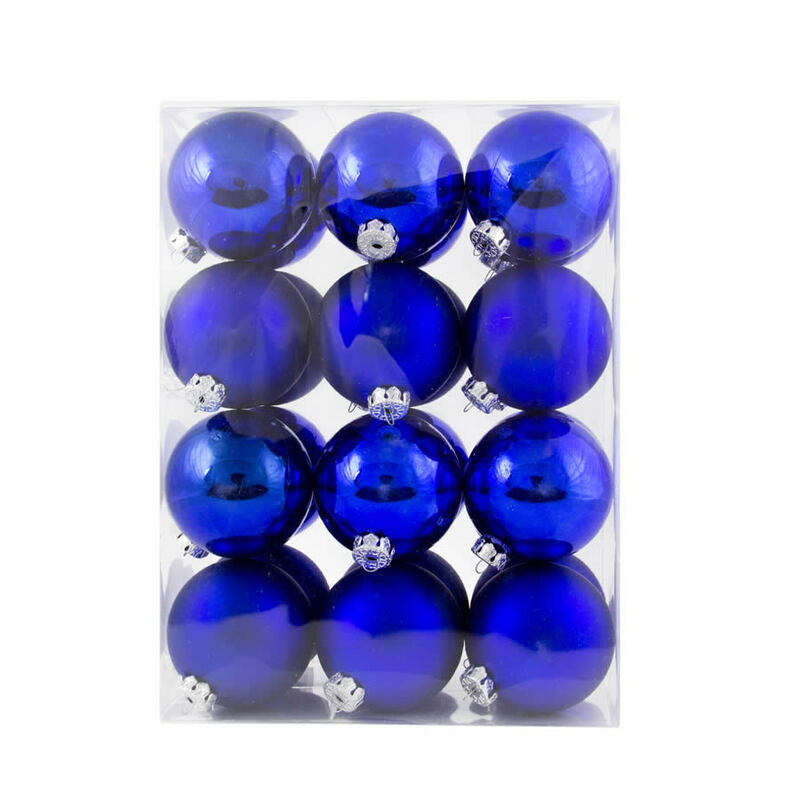 This 24 pack of 6cm Blue Baubles would be a wondrous gift to give or to receive! Each clear plastic canister measures around 16cm wide by 26cm tall, and holds twenty-four quality shatterproof baubles in a combination of soft, matte finish and shiny, high-gloss finish baubles. These are the kind of ornaments that won’t get broken or damaged if you happen to drop them, so this makes them the ideal choice for homes with small children or rowdy pets! These ornaments have a preformed hanger near the top with a metallic cord that makes hanging them easy and quick. These work for all of your home decorating projects, from trimming the tree to creating a custom wreath or swag!